May 21, 2015 (Part I, Part II) — NOTE: Part I audio begins at the 27 second mark. May 19, 2015 (Part I, Part II) — Part II is audio only. May 7, 2015 (Part I, Part II) — Part II is audio only. Review all occupations licensed under Texas law to determine the extent to which continued state regulation and licensure is required to protect public health and safety. Examine methods to ensure greater legislative oversight of new regulations, scope, and necessity of certain licenses and make recommendations for state licenses that should be repealed or transitioned to private-sector enforcement. Monitor the number of lawsuits related to property claims filed as a result of multiple hail storms and weather related events across Texas. Examine negative consumer trends that may result in market disruption such as higher premiums and deductibles, less coverage, non-renewals, and inability to secure coverage due to insurance carrier withdrawal from the state and make recommendations on legislative action needed. Study the impact of the penalty calculations under the current prompt payment of health care claim laws and regulations, including comparing penalties in other states and late payment penalties in Texas for other lines of insurance. Evaluate whether unregulated billed charges is the appropriate basis for determining penalty amounts and make recommendations for statutory changes, if needed. Examine cyber-security efforts undertaken by state entities and study the legal, policy, and privacy implications of the trend toward storage of personal, private, and business confidential information in network attached storage, cloud storage, and other developing data storage options rather than on local devices. Make recommendations on how to best protect Texans' financial and personal information. 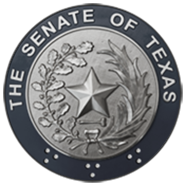 Study elder financial abuse and determine what steps the State of Texas should take to help protect older Texans from financial exploitation. Examine and make recommendations for necessary changes regarding the collection process of delinquent ad valorem property taxes, including an inquiry into the role that tax lien transfers play in forestalling foreclosure. The current consent policy for state disclosure of personal data.